Studied 3DCG in USA after the university, and worked for a web advertising company, and some major foreign financial companies in Japan, then, started to work as an artist since 2007. I learned 2DCG by myself. * All my arts exhibited in events are hand-drawing. I have the sign of angel on my left shoulder. I have a hearing loss since I was born, but, thanks of that, the Clairsentient evolved, at first time, and the other psychic ablities evolved. I was drawing light energy art of angels, muses, fairies, etc. with the help by a lot of angels and other light exists to spread the light energy of love and tender from the Universe to all over the world through my pictures. Then, there were a lot of miracle and wonderful synchronicities between costumers and my arts. 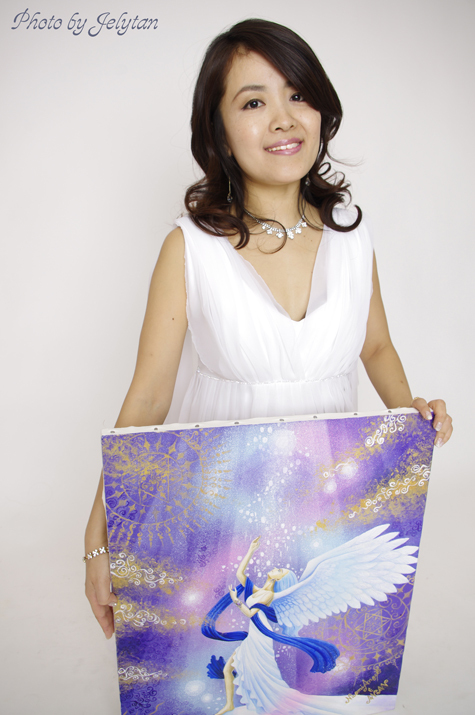 In autumn, 2009, a beautiful white guardian dragon came to me, called, "ANAN", and now, he and I are drawing light energy art. 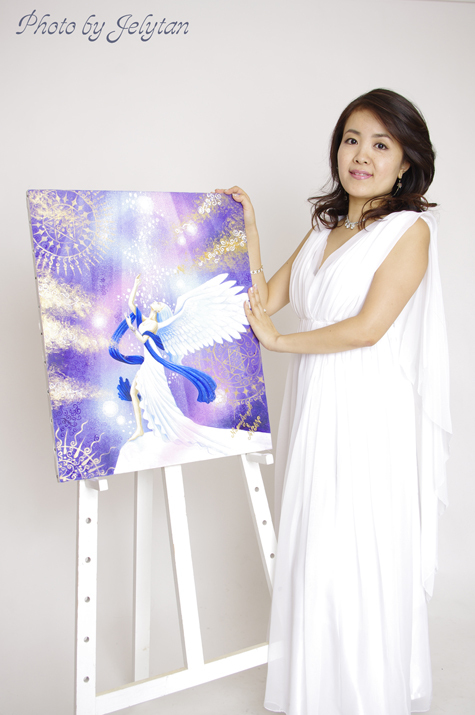 I and ANAN drew "Whispering of Gaia" and the big picture was exhibited at the stage of a professional singer, AZAMI from Yakushima island which is one of world heritages in July 2010. In 2013, "Voice of Gaia" was exihibited in WORLD PEACE ART EXHIBITION (June: Tokyo Metropolitan Theatre, September: Ukraine Art Associate Exhibition Pavilion). First exhibition in abroad. 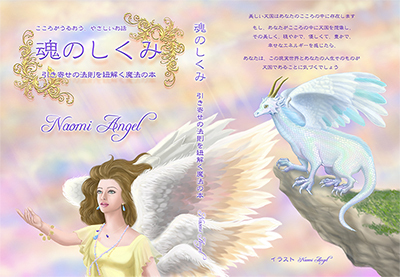 I named myself as “Naomi Angel” because I want to work with angels always.